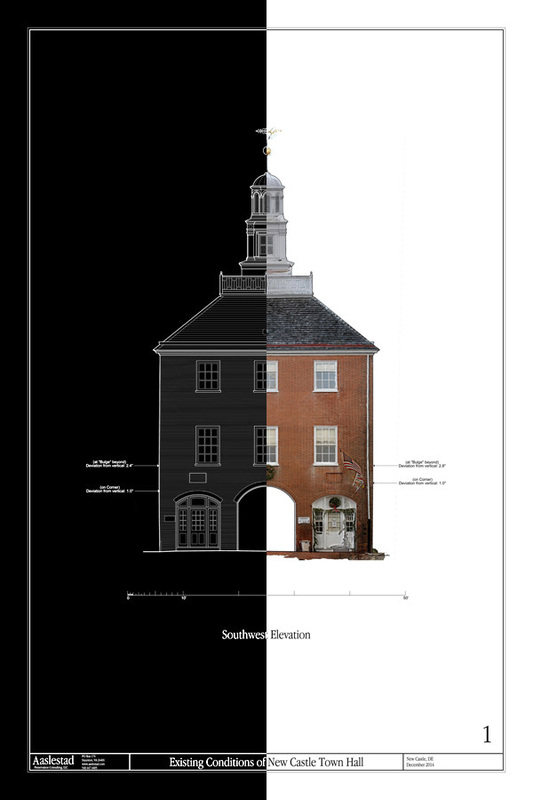 Over the next year or so I will be using photogrammetry to monitor the masonry conditions on the “Old Town Hall” in the charming village of New Castle, DE. 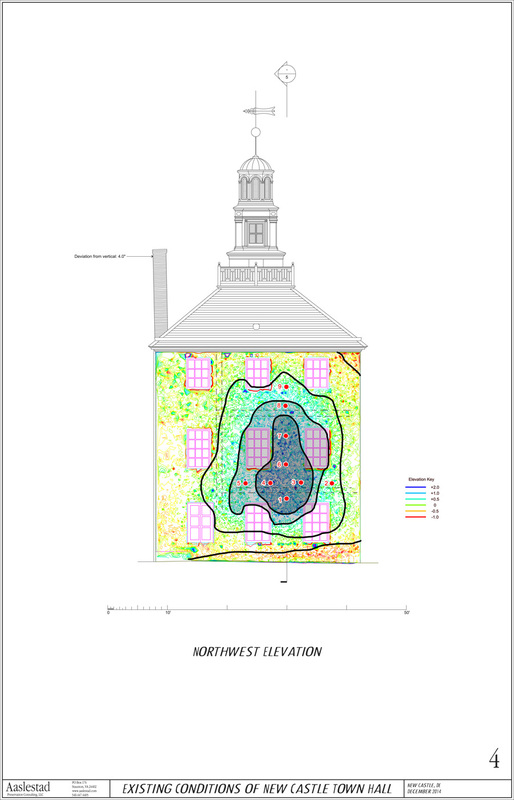 In December I visited the building and created both line drawings and orthophotography to set up base line conditions for the monitoring project. Below is a snapshot of the two documentation formats side by side. 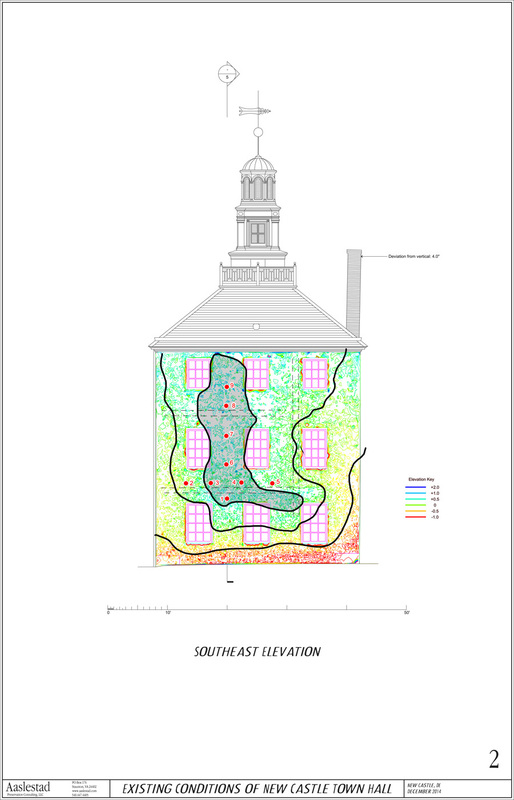 Here are diagrams showing a contour map reflecting the deformation of the masonry walls as the rise past floor plates whose span runs parallel to the walls and which provide no anchor. The “bulge”, while not tremendous in size is nonetheless measurable and worth monitoring.